On the face of it, Bill Maher, Sam Harris, and Robert Spencer would seem unlikely allies. The first is a left-wing comedian, the second a moderate neuroscientist, the last a right-wing political commentator. But on the subject of Islam they are as one, and I count myself in their company. None is a scholar of Islam, but each is better equipped to address the subject than the likes of Reza Aslan and Karen Armstrong. I’m voicing my support for these men because virtually no one else will. The abuse they get has been astonishing to me, and I’ve even experienced a mild version of it myself. It’s brought home how difficult the Islam issue is, and how we manufacture bigotry to kill honest discussion in advance. Salon’s writers aren’t the brightest, but the recent article by Heather Parton sets a record level of absurdity that unfortunately speaks for many. So let’s wade through her points before turning to the deeper problems. Right off the bat she blows it. Islamic fundamentalists aren’t the fringe, and in some places they’re the mainstream. Their numbers are hugely significant. They’re not analogous to Christian abortion-clinic bombers, members of the Westboro Baptist Church, lone rogues like Timothy McVeigh — or any of the few-and-far-between extremists who receive no support from any mainstream Christian group. Islamic fundamentalists are daily active, and they are precisely the ones whose beliefs are grounded in official Islamic doctrine. This is the #1 misstep I see in almost every discussion of Islam: equating jihadis and sharia-advocates with fringe extremists. It suggests no such thing. No one — least of all Maher, Harris, and Spencer — denies that a small percentage of Muslims are jihadists. That small percentage is still way too huge (again, not fringe). Moreover, there is a larger percentage of Muslims who share identical beliefs with jihadists even if they wouldn’t participate in war or terrorism themselves. Still further are conservative Muslims who would not endorse jihad or sharia, yet they hold to intolerant views that make conservatives of other religious faiths look liberal. Whether we speak of “connecting tissue” between these groups (Maher), or the overlap between concentric circles (Harris) — jihadists at the center, Islamists around them, and then Muslim conservatives — this is the accurate portrait of global Islam, and to deny the reality is irresponsible. Thus the second misstep: the failure to acknowledge Islam’s texture which pervades large portions of the world’s Muslim population. I couldn’t believe I was reading this. It’s absurd to compare violence in entertainment and the violence mandated in religious doctrine. Religious ideas galvanize people; entertainment provides a harmless outlet for our violent impulses. (We should applaud artists like Quentin Tarantino for precisely this reason. Critics who suggest that his films could be responsible for real-life violence know nothing. The Japanese film industry cranks out films which make Tarantino’s look like Disney, yet Japan’s crime rate is lower than America’s.) Films may desensitize people to violence. Holy books like the Qur’an incite people to violence. For good reason. Individuals are responsible for their actions, in any context, religious or otherwise. That doesn’t mean we pretend that religion can’t have anything to do with inspiring them. Parton goes on with an example of a college student who was (possibly) planning to use ricin to poison someone, (possibly) influenced by the character of Walter White on Breaking Bad. This lone-rogue example is so facile it doesn’t constitute an analogy, for the reasons above. A red herring. No one denies that authority figures manipulate people. Just as no one denies the litany of other factors — western imperialism, poverty, lack of education. But religion is by far the biggest factor. Many other places (Swaziland, Costa Rica, the Philippines, you name it) are plagued by colonialism, poverty, and/or lack of education, and have their authority figures, yet they aren’t combustible like Islamic cultures. What China has done to the Tibetans is just as bad as what Israel and western powers have done in the Muslim world, but suicide-bombing has not been the Tibetan-Buddhist response. Jihad violence may be exacerbated by the Israeli occupation and our meddling in Iraq, but it’s certainly not born of it. And that’s the third blunder: bending over backwards to find cause for religious violence in all but the most obvious place: religion itself. It’s especially my crowd that has difficulty being honest about Islam. As liberals we want religions to be equivalent for sake of multiculturalism and to make interfaith dialogue easier. But interfaith dialogue should be like free speech, and raise discomfort as it empowers. The “no gains without pains” proverb may sound trite, but that’s the only way we improve. Islam is a religion of violence. We need to get comfortable saying that. That most Muslims are peaceful doesn’t effect this conclusion. Jainism is a religion of peace. Fanatical Jains are like fanatical Amish: harmless beyond dispute. Buddhism hangs toward the peaceful end. I would put Judaism and Christianity on the peaceful side too, though a bit closer to the middle: they have violent and intolerant elements but carry the seeds of their transformation because of their many positive supplements. Such assessments arouse unease, if not outrage, among liberals, but this is how interfaith dialogue should proceed. There’s something else at work. I think it’s hard for us (again, liberals especially) to accept that religious zealots can be motivated by beliefs simply on the “purity” of those beliefs; that these zealots are attracted, in the abstract, by martyrdom and promises of paradise; that such ideas can be in and of themselves psychologically rewarding. Sam Harris and Robert Spencer are right: Not all jihadists are “lone wolves”, maladjusted, poor, or politically angry. Even those who are can be inspired by abstract ideas irrespective of that baggage. Many of them — we see example after example — come from well-integrated families and are as normal as we consider normal to be. Scholarship of the medieval crusades sheds a fascinating light on this. I explained why the crusades are in most ways a weak analogy to the jihad, but there is one way in which they are completely analogous: the zealous mindset they fostered. Christian knights were motivated by sincere piety. It took a long time for scholars to accept this, but giants like Jonathan Riley-Smith, Thomas Asbridge, and Christopher Tyerman have put to bed the myth that crusaders were mostly land-hungry boors motivated by greed, or second-born sons looking to improve their lot in life. All the evidence counts against it. Crusaders really believed that spilling Muslim blood would remit their sins and enable them to bypass purgatory (just as jihadists believe in the virgins waiting for them in paradise); these knights had been drowning in guilt, taught that their profession was evil (if a necessary evil) and contrary to Christ’s teachings; the crusades came as a papal godsend. For the first time ever, and completely against the grain of Christian scripture and tradition, violence could now be sacred. To the medieval knight this idea was precious in and of itself. But for a long time scholars projected their rationality onto the knights and explained the holy wars in primarily social and economic frameworks. That’s what we do today with the jihad. We’re uncomfortable with “craziness” that cannot be rationally or tangibly accounted for. There is an even third reason for liberal-minded folks to deny truths about Islam. As Michael Moore recently noted, we’re tired of our drone strikes in the Middle-East. Speaking plainly about Islam may come across as justification for more war-mongering. (I happen to agree with Maher over Harris: we need to get out of the Middle-East and let others, and Muslim neighbors, sort out the mess for a change.) Not to mention fear-mongering: it may sound like we’re seeing terrorists under every rock and giving tacit approval for the NSA to spy on us. I share these concerns (4th Amendment rights are particularly sacred to me), but lying about Islam isn’t the answer to war and paranoia. We can’t fix a problem that’s falsely diagnosed. Nor, especially, can liberal Muslims. Removing the violence and intolerance out of Islam kills the patient. It mutates the religion into a different species. When Christian reformers attempt to “look forward by going back” — to recover the early teachings of Jesus and the apostles — they can be successful because, for all of early Christianity’s archaisms (hopes for the apocalypse, etc. ), there are enough elements in the New Testament that facilitate progressive moves. There has never been anything equivalent to the Catholic or Protestant Reformations in the Islamic world, because harking back to the example of Muhammad is drastically counter-productive. What little benevolence can be found in the Qur’an is trumped in any case by Muhammad’s later revelations. The 18th-century reform of Muhammad ibn Abd al-Wahhab, accordingly, produced one of the nastiest strains of Islam ever. Indeed, on the usual understanding of reform (“recovering earliest roots”), it is jihadists and sharia-advocates who are Islam’s true reformers. Only on the other understanding of reform (realigning beliefs in progressive directions) can liberal Muslims be construed as the torch-bearers. There, in my opinion, is the rub. In most religions, the two understandings of reform can usually work as one; in Islam that’s virtually impossible. To make Muhammad benign, you’d have to rely on the revisionist fantasies of Karen Armstrong. One of my co-workers has a plaque hanging over her desk. The words of Jo Godwin beam down: “A truly great library contains something in it to offend everyone.” So does a great society. The offense of bigotry is excluded, of course, but Bill Maher, Sam Harris, and Robert Spencer aren’t bigots. They are not the Phil-Robertson demagogues implied by our mainstream media. They stand for an intellectual integrity that’s rare in discussing Islam, and they indeed offend. That offending integrity is something for which I’m thankful this holiday. Allah, in other words, changes revelations as he goes along, and the later revelations supersede the earlier ones. There is disagreement among Muslim theologians as to exactly which verses have been abrogated and replaced, but the general idea has been clear. When Muslims are weak and in a minority position, they should behave peacefully according to the Meccan passages (which reflect the early time when Muhammad was vulnerable and building his power base), and when strong, they are obligated to wage war according to the later Medinan passages (written when Muhammad was in power). The suras of the Qur’an obviously aren’t in chronological order (for a reconstruction see here). The ninth sura, known as the Ultimatum, is the latest revelation and takes precedence over all. Muhammad received it the year before his death (631 AD), when he was at his strongest, and it’s here that we get the famous verse of the sword, which commands Muslims to kill pagans unless they convert to Islam (Qur’an 9:5). Jews and Christians must also convert or die, though they are allowed a third option, to become subjugated “with willing submission” by paying the jizya (a head tax) as second-class citizens (Qur’an 9:29). Wayward Muslims — hypocrites, liberals and heretics of different sects — are also to be killed (Qur’an 9:73). True Muslims enforce all of this. They are to kill infidels and heretics until they die in martyrdom (Qur’an 9:111). Groups like ISIS take direct inspiration from these and other late suras, such as the fifth: “The punishment for those who wage war against Allah and His Messenger and strive to make mischief in the land is none but that they be killed or crucified or that their hands and feet be cut off from opposite sides or that they be imprisoned. That is for them a disgrace in this world; and for them in the Hereafter will be a grievous punishment.” (Qur’an 5:33) “Making mischief” is something that can mean almost anything to justify said killing, crucifying, etc. Mere unbelief can be construed as mischief and has been. Another late revelation is the forty-seventh, which explicitly forbids Muslims to seek peace when they have the wherewithal to wage war. “Do not weaken and call for peace when you should be uppermost” (Qur’an 47:35). Muslims who live in western nations are exempt from this command, because they are not in a superior (uppermost) position, but those, say, in Iraq or Syria, are obligated to not seek peace; they must wage war. Likewise, Muslims living in secular Islamic states (i.e. under the Shah in pre-1979 Iran) are exempt from the command, but once fundamentalist figures (like the Ayatollah) gain power, they must wage war. When modern liberal Muslims cite “there is no compulsion in religion” (Qur’an 2:256) and that if you disagree with someone, “to you be your religion and to me be mine” (Qur’an 109:6), we should of course applaud them. But theirs is an uphill battle, because the doctrine of abrogation refutes their citations in advance. To my knowledge, there is nothing comparable to this phenomenon in the scriptures of other religions. When rabbis debated whether or not children suffer punishment for the sins of their parents, there is no controlling text within the Jewish scriptures that would lead one to favor Exodus 20:5 (“yes”) over Ezekiel 18:20 (“no”), or vice-versa. That’s what makes most scriptures conveniently malleable. Islam provides little enough ammunition to counter its unpleasant elements as it is. So it’s all the more troubling that what little it does provide has been rendered obsolete by that very tradition. The Islamic reformer Mahmoud Muhammad Taha was killed for essentially trying to reverse the doctrine of abrogation, and make the Qur’an’s early revelations supersede the later ones. This all adds up to a significant difference between the scriptures of Islam and those of other religions. Here’s looking back on all the seasons of new Doctor Who. Series two, eight, and five are the masterpiece seasons. I felt I was in good hands all the way through them. Series three and one are also very good, but are brought down by a few stinker episodes. Series nine explored strong ideas over new formats, didn’t always use them well, but went out with a bang. Series four is rather hard to assess on whole, because the highs are so high and the lows abysmally low. Series six is sort of just there. As for series seven, the less said the better; it was almost a complete failure. #1. Series Two. The new golden age. What’s not glorious about this run of episodes? 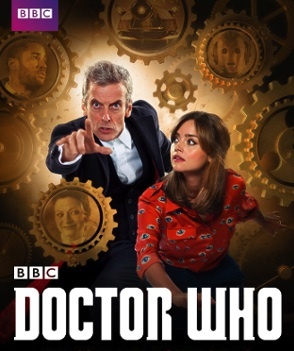 It kicked off with a solid Christmas special (only A Christmas Carol and Last Christmas would surpass it) that introduced the tenth Doctor; we didn’t have to suffer through a lame season-opener like Rose, Smith and Jones, and Partners in Crime with dumbed-down villains; the werewolf story set in 19th-century Scotland was terrific, and segued into a special return of Sarah Jane Smith; then to the enchanting girl in the fireplace; then to a parallel-universe epic and the best Cybermen story of all time; then later to an even grander space epic involving black holes and possessed aliens and Satan. To top it off, a piece of fanwank that actually worked: Daleks and Cybermen bashing each other in modern-day London, and Rose “dying” in an incredible swan song. The Tyler family arc paid off wonderfully in the alternate earth setting; Rose’s departure hit an emotional level rarely seen on TV. The only dud was Fear Her. Even the controversial Love and Monsters was grounded in brilliant concepts (obsessive nerdy Doctor Who fans, humanity’s perception of the Doctor which is far less admirable than that of his companions). It was truly a great year, and for me the unquestioned high point of the new series. Great episodes: The Christmas Invasion. Tooth and Claw. School Reunion. The Girl in the Fireplace. The Rise of the Cybermen/Age of Steel. The Impossible Planet/The Satan Pit. Love and Monsters. Army of Ghosts/Doomsday. #2. Series Eight. The impossible comeback. 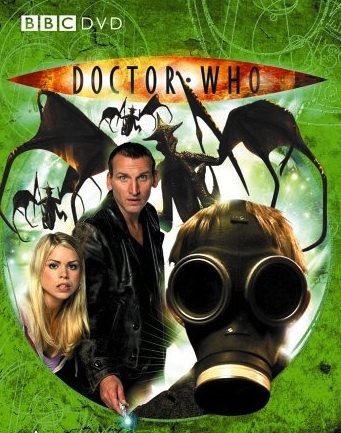 I didn’t dare hope for anything this good after the manure swamp of series seven. Let’s be clear: Peter Capaldi is the best Doctor of the new series, channeling both Tom and Colin Baker and a raw energy we haven’t seen since the classic years. Even the throw-away story, The Caretaker, was thoroughly enjoyable for the vitriol he heaped on Clara (which is pretty much how I wanted to see her abused in the previous season). These stories were intense. There were body counts. Doctor Who was taking itself seriously again. We got the first really good Dalek story since series 1 and 2. 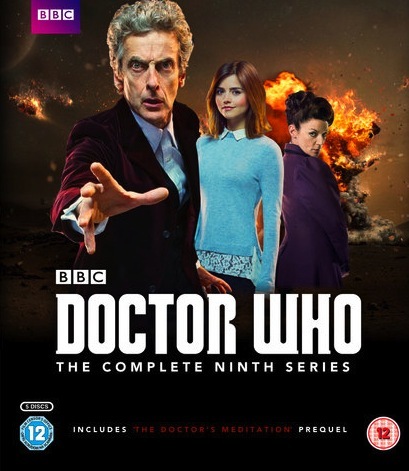 Nail-biting episodes like Kill the Moon, Mummy on the Orient Express, and Flatline. Even the “afterlife” finale, which was bungled in the second half, had a brilliant first part. (Missy was the letdown, along with the Brigadier-Cyberman, and Danny’s death not handled well at all.) 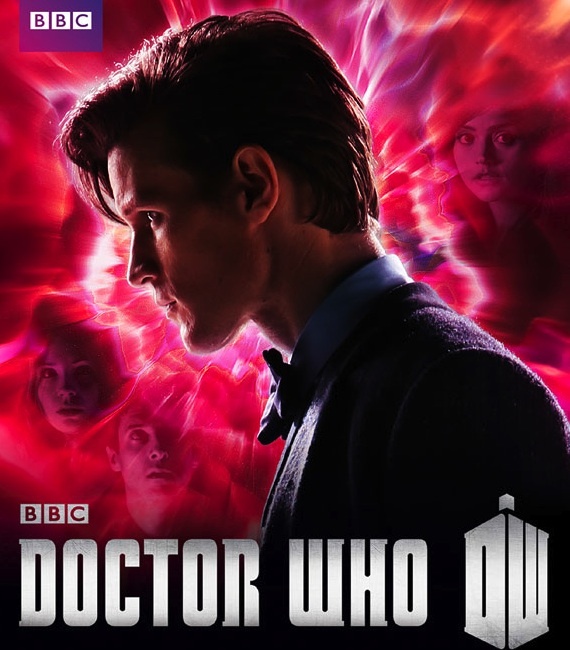 And finally the Christmas special, which plays like the real finale, landed a stunning masterpiece, using dreams in a lethally terrifying way around brilliant concepts of the subconscious. It was a terrific year that restored my faith in the new series. Don’t get me wrong, David Tennant and Matt Smith were excellent Doctors. But Capaldi is the Doctor as I knew him from childhood. Great episodes: Into the Dalek. Kill the Moon. Mummy on the Orient Express. Flatline. Dark Water. Last Christmas. #3. Series Five. The year of undiluted magic. Moffat took command of the show in the best way he knew how. I say that without contradicting my esteem for series eight as even better, because I believe series eight was characterized more by what other writers brought to it than Moffat’s own vision. 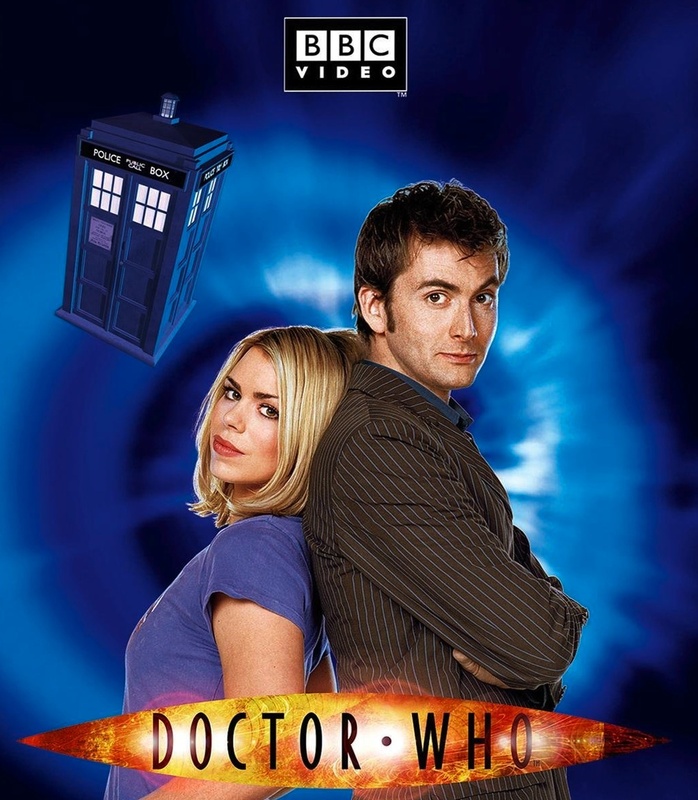 Series five was a dark fairy tale that could only have been orchestrated by the writer of The Girl in the Fireplace. We got a new TARDIS look (which blew me away as much as Amy); the last of the starwhales; rainbow-colored Daleks; a Dream Lord who traps people in alternate nightmares; the Silurian underworld; Vincent Van Gogh’s ephemeral visions; and of course the Pandorica. The scriptwriting was in top form, and while a couple of stories were just okay, The Lodger was the only actual dud (and even that one has a chorus of apologists). Blink will always be the best weeping angels story, but in some ways Time of the Angels/Flesh and Stone was their most important outing for the scars they left on Amy. The crack in her bedroom wall remains the best story arc of the new series. Resets were involved in The Big Bang, but they came at a price; there was emotional payoff. The treatment of Amelia/Amy Pond was precious, and her character fit the season’s tone perfectly. 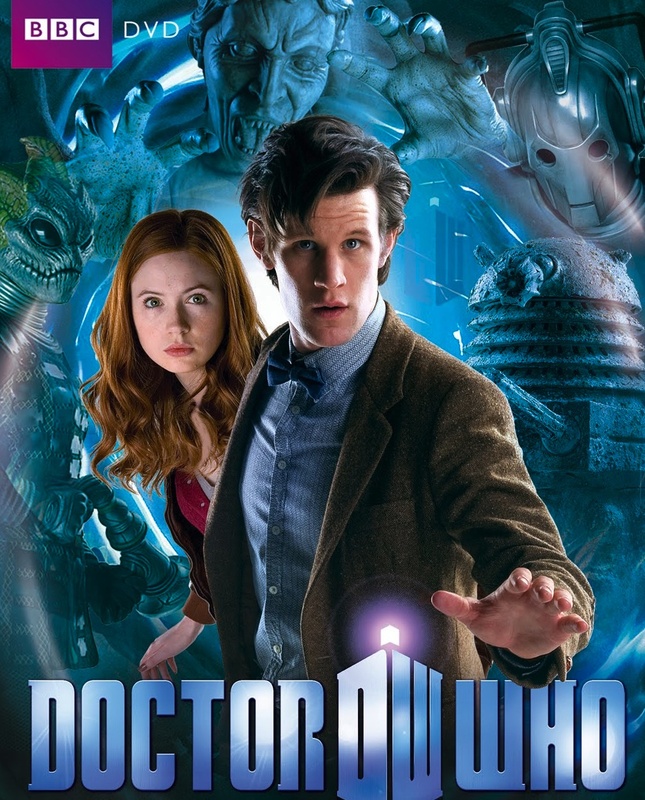 Great episodes: The Eleventh Hour. Time of the Angels/Flesh and Stone. Amy’s Choice. Vincent and the Doctor. The Pandorica Opens/The Big Bang. #4. Series Three. Deep and dark. It had its lemons, but got them out of the way (a screeching bride, a grandma vampire, humanoid Daleks) before building to an amazing crescendo, and then falling on its face. That middle part was the ripper: The Lazarus Experiment a body-horror piece forcing strong philosophical questions (Gospel of John meets The Fly); 42 a race against time on a spaceship hurtling into a sentient sun; Human Nature/Family of Blood a genius portrayal of the Doctor becoming human and forgetting himself; then (as if that could be outdone) Blink, the weeping angels’ first outing and still the best story of the new series; and then Utopia, which surprise-revealed the Master at the end of the universe. Those stories remain the longest stretch of unbroken excellence in any series, and it’s only too bad the Master thread deteriorated into silliness, not least with the comical reincarnation of John Simm. Series three posed daring “What if?” questions to dramatic effect: what if people had to live their whole lives inside automobiles? what if we unlocked the key to immortality? what if a Time Lord became human and could no longer defend humanity against his enemies? But the finale was embarrassing, and showed Russell Davies on the way to more serious crimes he would perpetuate in series four. Great episodes: The Shakespeare Code. The Lazarus Experiment. 42. Human Nature/Family of Blood. Blink. Utopia. #5. Series One. The kick-off. To be honest, it took time for me to warm to the new series. Russell Davies wrote most of the first-season stories, some of which were bad, some just okay, and one very good. The other stories were superb, and they were the ones that kept me watching. The second problem I now consider a major strength: Christopher Eccleston. On first viewing he didn’t seem like a fair representation of the Doctor, and his constant gurning made me want to rip his face off. His acting came across forced and stilted. But on later re-watches, I saw his awkwardness being much the point. He’s the Doctor of the Time War aftermath, wounded and affected by his monstrous actions. He’s judgmental (like anyone who has serious faults), as evidenced in his harsh treatments of Rose. Even more compelling is his ineffectuality. He saves the day only 30% of the time (in three stories) and practically wears his incompetence like a badge. Eccleston is is the Last of the Time Lords as we would expect, isolated and alone in the universe, unsure how to fit in, paralyzed by indecision, weighed down by the colossal failure of his people — and himself — unable or afraid to rise to the occasion. In hindsight, I feel that he worked extremely well as a single-season Doctor. Great episodes: The Unquiet Dead. Dalek. Father’s Day. Bad Wolf/The Parting of the Ways. #6. Series Nine. A strong start and mind-blowing finish were filled in between by mediocrity. Despite the commendable effort to explore new ideas over longer formats, the ideas weren’t always used well. The Davros story could have actually been almost perfect if not for Missy; I despise her Master incarnation almost as much as John Simm’s. The underwater siege started strong but got snared by its own creativity: the Doctor traveled back in time to create the chain of future events that caused him to go back in time in the first place. So the fact that his ghost ended up really being a hologram used for passing messages between his two timelines, rather than a fate for him to avoid, felt like a missed opportunity. The story arc of Maisse Williams’ character (Mayor Me) was inspired but not terribly engaging. Worst of all was the Zygon two-parter, praised by many as Capaldi’s defining moment, in reality a lazy piece of script writing in which the Zygons display little menace. The final confrontation was a vapid monologue in which the Doctor expended gas and overheated passion talking down military commanders from doing what they know best, and over a pair of buttons that never even had destructive power. But things kicked into overdrive at the tail end. Sleep No More was gritty and gratifying; Heaven Sent the towering masterpiece; and Hell Bent the Gallifrey endgame that sent Clara off wonderfully. Great episodes: Sleep No More. Heaven Sent. Hell Bent. #7. Series Four. The hardest series to pin down. The highs were admittedly very high, but the lows so abysmally low that they torpedoed the season on whole. 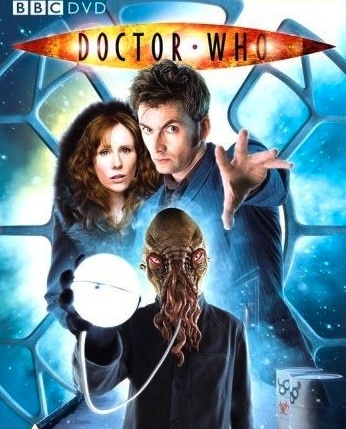 Russell Davies wrote the best story of his career (Midnight) but also his worst — which was in fact the worst Doctor Who story of all time (The Stolen Earth/Journey’s End). That finale wasn’t just horrible; it went out of its way to be horrible. Then there was Donna, who turned out to be a great companion and nothing like the fishwife of The Runaway Bride. It was a welcome change from the Rose/Martha infatuations, and in some episodes she blew me away (especially in Pompeii, the library, and “turning left”). But then came the finale, which ruined her. 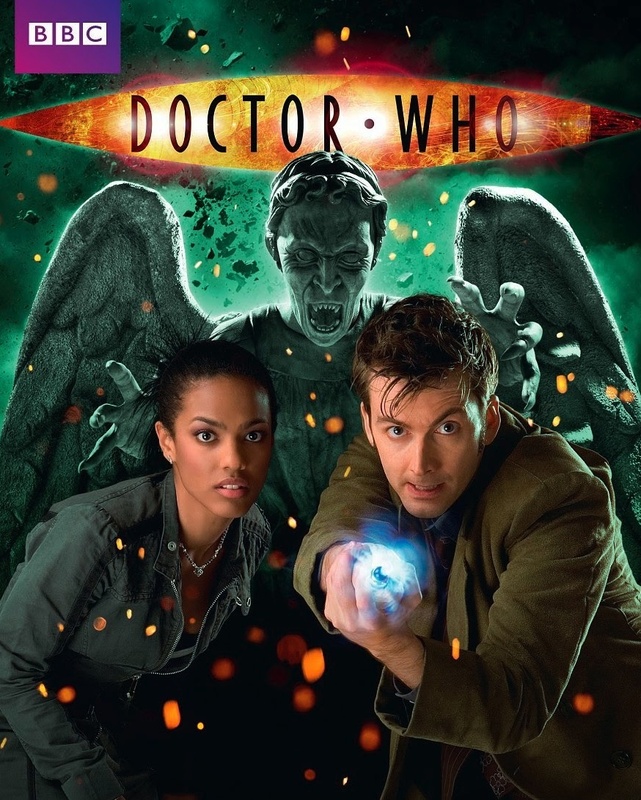 Fires of Pompeii remains the best historical of the new series, spinning gothic horror around a moral dilemma that evokes the Doctor’s anguish in Genesis of the Daleks. On the other hand, Partners in Crime goes down as the silliest season-opener (Pokemon meets Doctor Who), Unicorn and the Wasp the silliest period piece (Agatha Christie deserved better). Rose was brought back brilliantly in Turn Left. Her presence in the finale was unspeakable. It was a season of treasure and trash, but with clear signs of the latter taking over. Great episodes: The Fires of Pompeii. Planet of the Ood. Silence in the Library/Forest of the Dead. Midnight. Turn Left. #8. Series Six. This season was sort of just there, though it had its gems. The main story arc was a problem. It began with promise, broke down horribly mid-season, and ended with a risible sleight-of-hand. The grand reveal was simple: Moffat never had a real plan with River Song. She didn’t evolve into the darker character foreshadowed repeatedly since her debut in the fourth series; the Doctor wasn’t subjected to the heartbreak of her turning into someone who despises him. In Let’s Kill Hitler she went from hating and trying to kill him at the moment they meet, to saving him in the blink of an eye, inexplicably deciding that she loves this man for no reason at all. As for the Doctor’s assassination, he cheats that by having River kill an entity disguised as him, leaving us with the absurdity of the Doctor getting around the fixed point of his death by using stage-magician trickery. Aside from this nonsense, most of the stories were decent, and a few even quite marvelous. A Christmas Carol was a masterpiece retelling of Dickens, and gorgeously shot. The Doctor’s Wife gave voice to the TARDIS as the machinery became murderously possessed. The Girl Who Waited and The God Complex were a special pair of episodes for Amy, exposing the Doctor’s destructive nature and demolishing her faith in him. Great episodes: A Christmas Carol. The Doctor’s Wife. The Girl Who Waited. The God Complex. #9. Series Seven. 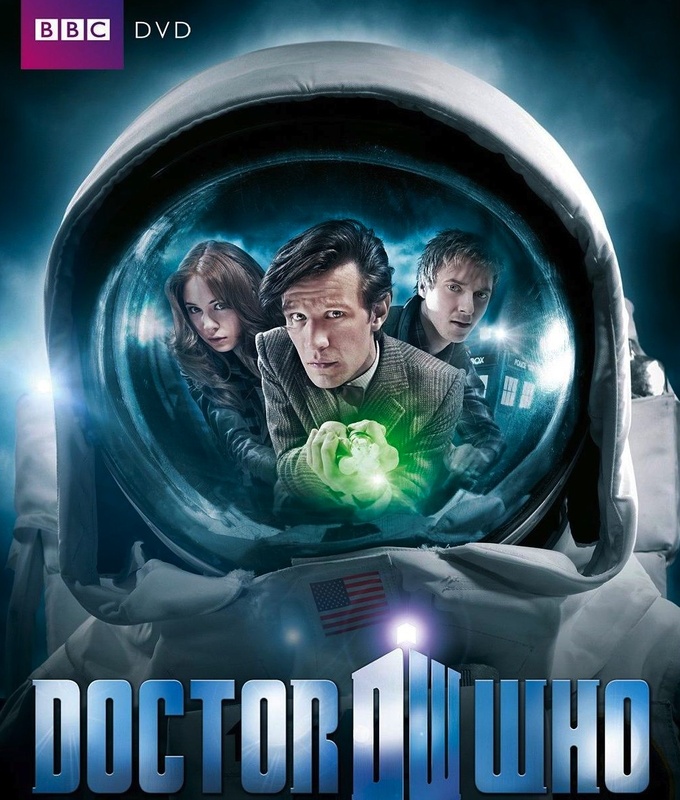 The year I almost gave up on Doctor Who. The season was a mess from start to finish. I didn’t care about the stories; everything was dumbed down to a record low. Amy and Rory (in the first half) were running on empty. Clara (in the second half) was the worst companion of all time. She was emotionally lifeless, a copycat of Moffat’s smug and overconfident women (River Song, Liz Ten, etc. ), unable to display a vulnerable side. As the Impossible Girl she was the worst story arc of the new series, allowing Moffat to run wild with resurrections, resets, and easy-outs. Clara was impossible all right: impossible to care about. Someone who lives and dies umpteen times for the Doctor and in the end brushes it off like it’s nothing, is nothing. (I would have claimed it impossible that her character could improve so dramatically in the eighth series.) On the positive side: Amy Pond got a good send off in Manhattan, and the journey inside the TARDIS was admittedly a treat. Aside from those two stories, nothing impressed me at all. Amy should have left at the end of series six (The God Complex was essentially a swan song anyway), and for that matter, so should have the eleventh Doctor. Great episodes: The Angels Take Manhattan. Journey to the Center of the TARDIS.